Ensure that no external application is holding any locks on the PDF files that you are going to Bates number otherwise, the software may warn you about the same with an error. 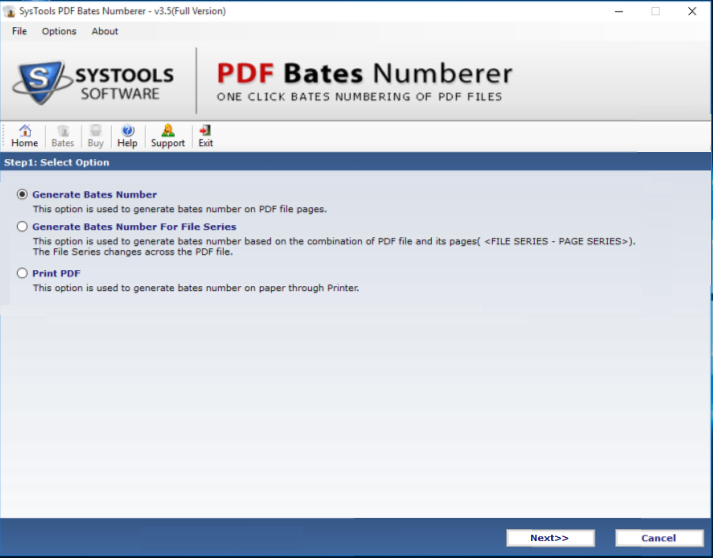 Generate Bates Numberer – Insert Bates numbers in the PDF files with this option. 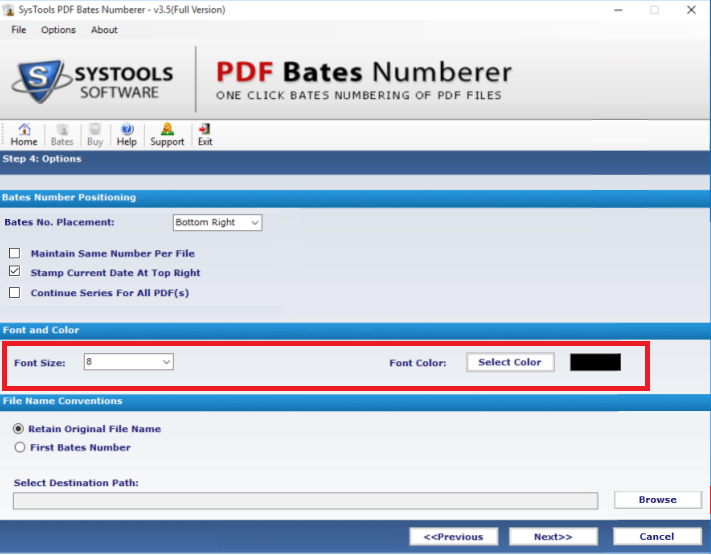 It facilitates Bates Numbers to the selected PDF files. 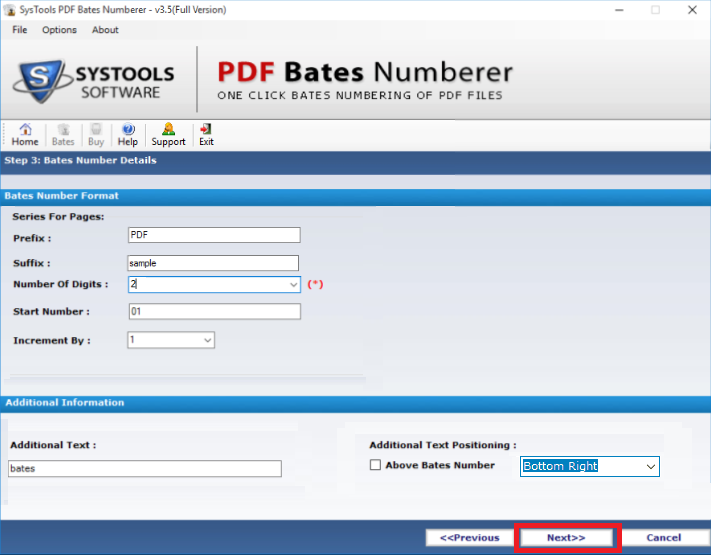 Generate Bates Number for File Series – In this option you have a combination of PDF file page and file series. The software provides a Bates number to all the pages & files contained in the selected folder. 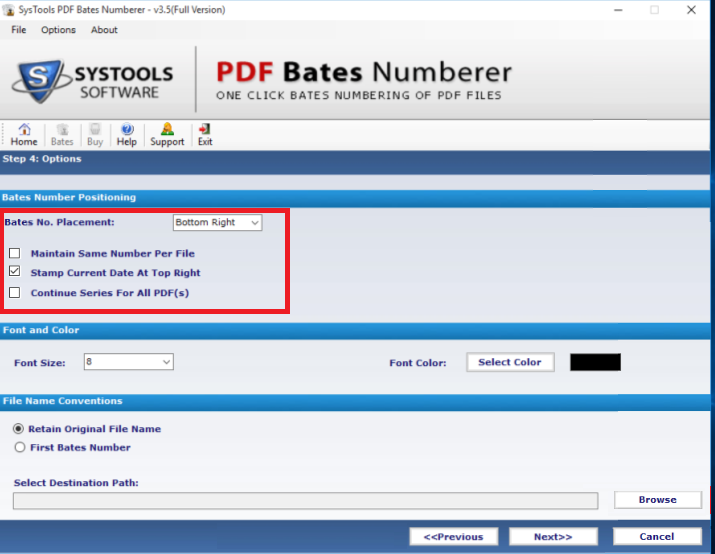 Print PDF – Via this option you can take the print of the Bates numbered pages on paper. 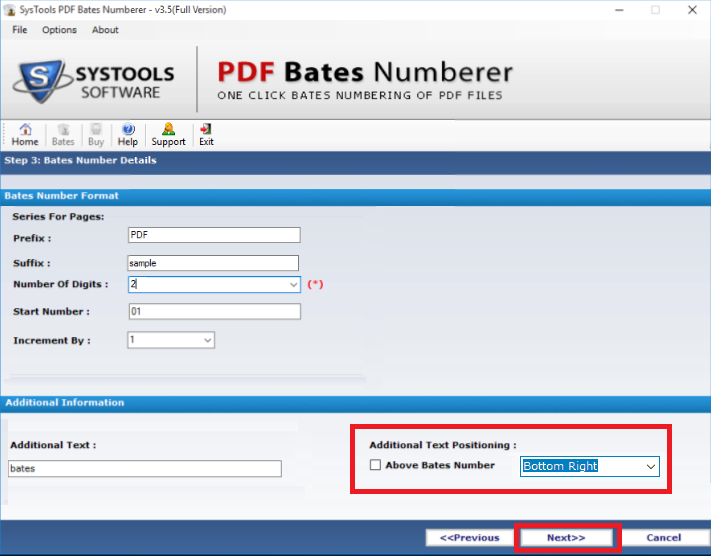 Let’s start with “Generate Bates Numbers” option. Click on “Next”. 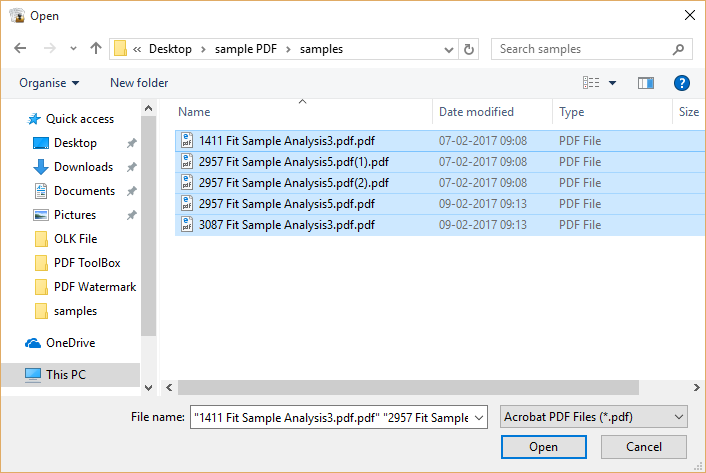 Now a screen will display where you need to "Add File/Add Folder" by browsing local folder for the selection of desired PDF file(s). 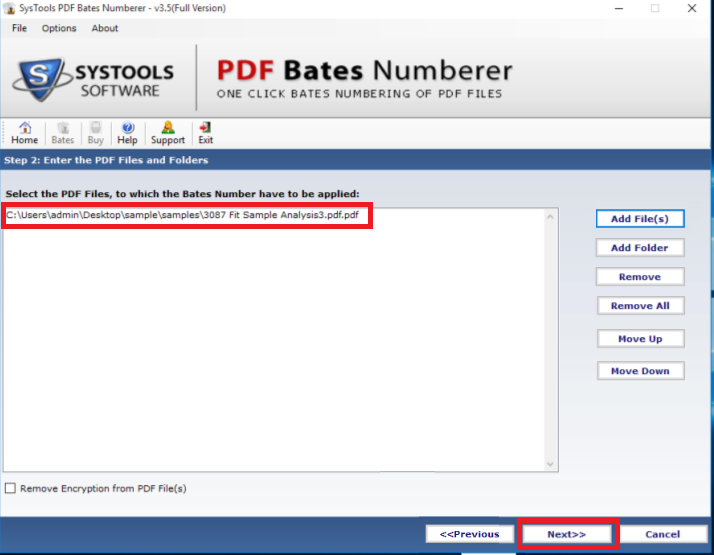 Now you can select the PDF files that you want to stamp with Bates numbering from the browsed location. Now you need to fill out the required details as per your need. 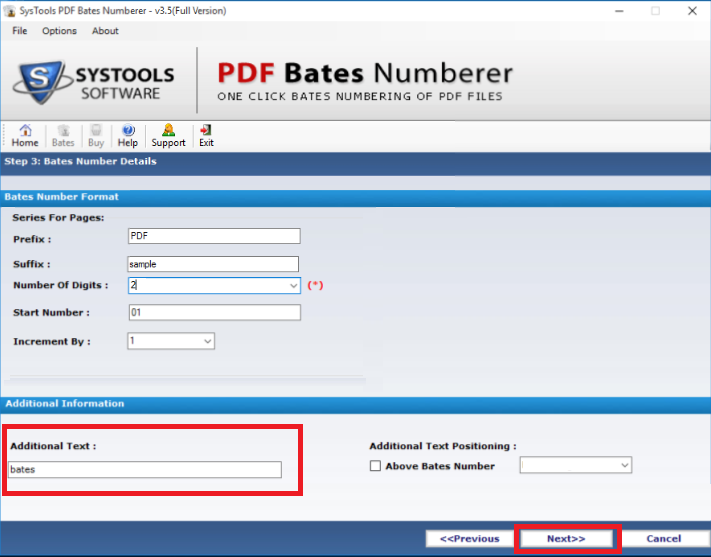 An example has been shown in the image below, showing how to fill out the form. If you want to keep your data confidential then you need to write “Confidential Text” on “Additional Text Option”. Now you can provide a specific position to your text input by selecting options from "Additional Text Positioning". 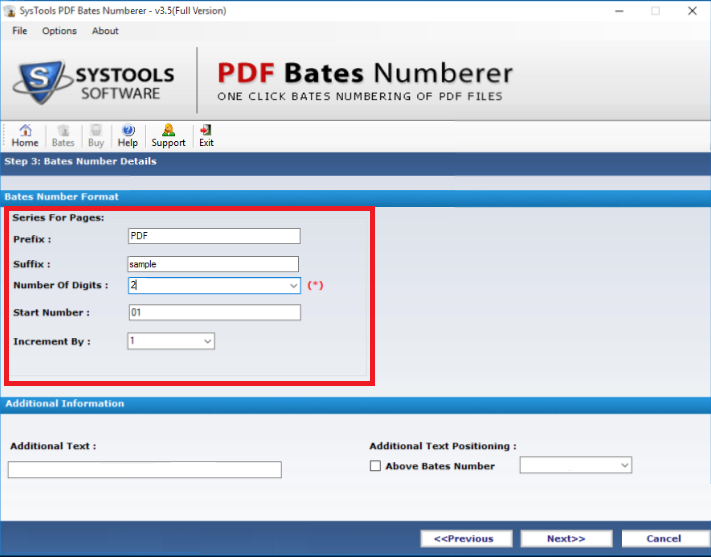 Now you have to provide position to the selected pages by choosing the provided Bates Number Positioning options and apply the same series on other PDF pages. You have to select the Font Color and Size as per your requirement. 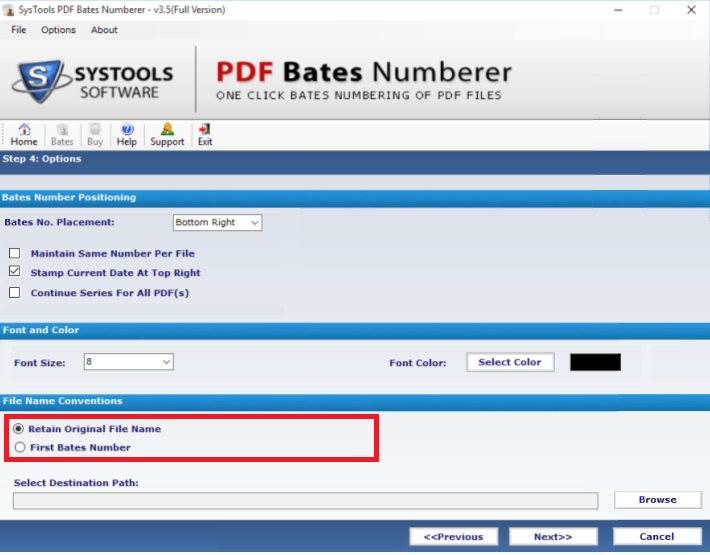 Then select “File Naming Convention” from the given 2 options: Retain Original File Name/First Bates Number. Select the destination folder where you want to keep the stamped PDF files and then click on “Next”. Software will display the specific location when you click on “Browse” option. A display screen will appear where you will see the information selected in the previous steps. 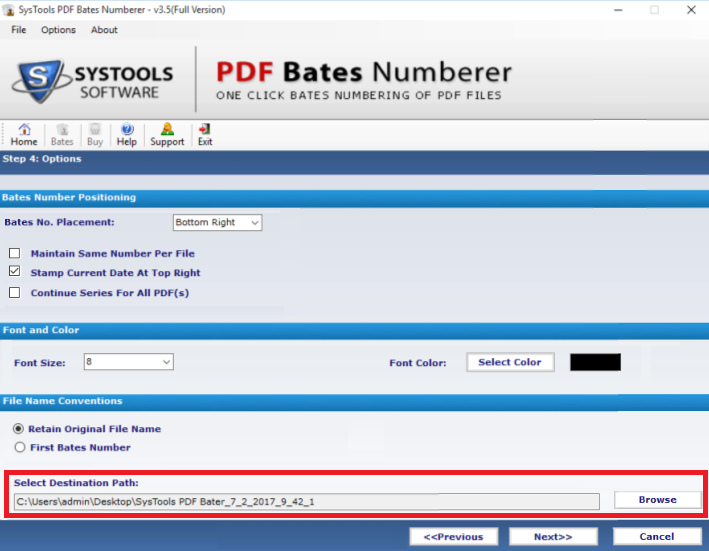 You can click on “Preview” to view how your PDF pages will appear after Bates stamping. After Bates stamping the document pages will appear like that. 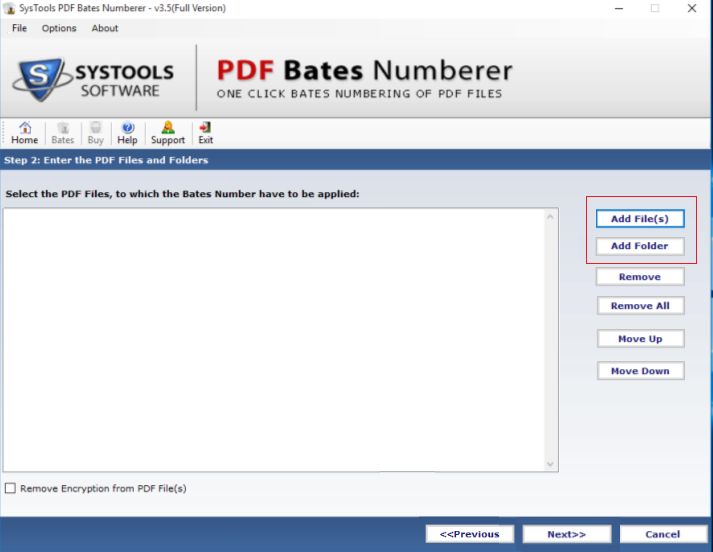 Once agreed with the preview, you can click on “Generate” option to start the process of Bates numbering your PDF. 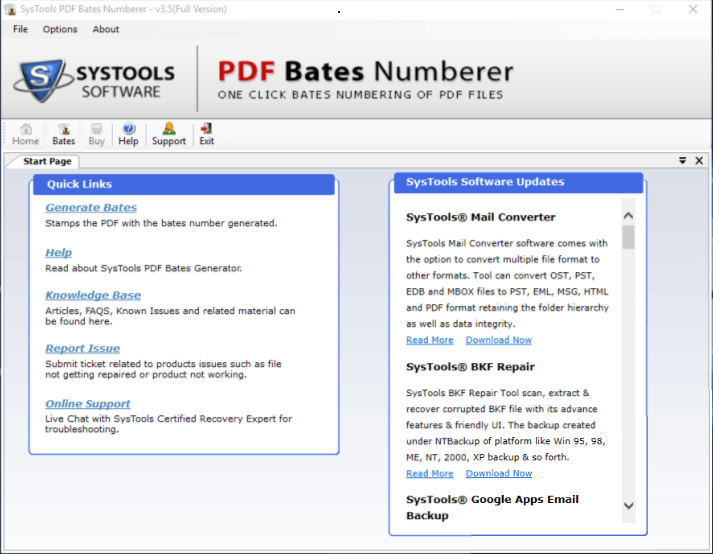 Within a few minutes your PDF Bates stamping process will complete. 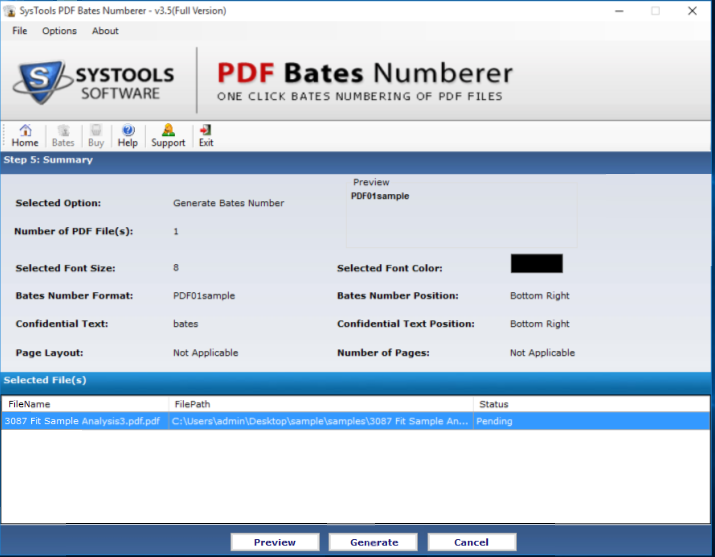 After Completion of bates number generation process, the software will show the complete status report.